It is our goal to promote sustainability, recycle to make useful products and support our amazing neighborhood. ReUse, ReCycle, RePurpose, ReMake! Since opening the shop doors over a decade ago, owner Kelly Wiley has been committed to giving back to Oak Cliff. Rose Garden ReMake is a community boutique featuring local creatives and independent designers producing everything from fashion to home decor. Kelly and store manager Hazel take pleasure in serving customers and providing the best experience while shopping. They strive to create a warm, welcoming atmosphere that has continued to bring customers back weekly. If you’re looking for that last minute party dress or a fabulous interview suit, Rose Garden ReMake is a boutique for every occasion. Come in and shop with us! 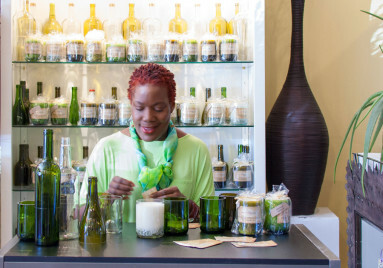 The shop also creates their own handcrafted collections like the popular Recycled Wine Bottle Candles through a training program developed by Wiley. Through her 2000 Roses Foundation 501(c), formerly incarcerated women are taught how to make candles, jewelry, tie-dyed scarves and more. Instilled with the tools of entrepreneurship and retail experience, many of the trainees go on to launch their own businesses and commission their creations in-store. 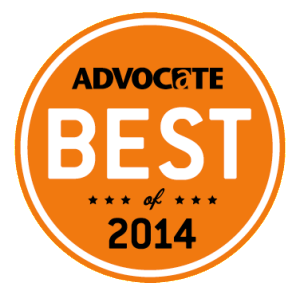 This provides a new start, helping families while continuing to build the community.